Tamia Challey is living a regular happy life, with her two daughters and loving husband, Scott. She has everything she wants, a loving family, close friends, Beatrix and Mirabelle, who look out for her, and she for them. Her life comes crashing around her when one evening, the police enter her living room and arrest Scott. She is told nothing. She doesn’t know what his crime is or where he is taken, absolutely nothing. All she knows is that the life she took for granted has changed forever. Later that night she manages to get her friend Mirabelle to babysit her daughters while she tracks down her husband at the police station. She doesn’t get to see Scott but she is told of his crime, and when she hears about who is accusing him of it, she doesn’t know what hit her. Nothing prepared her for what she encountered at the police station. What do you do when people you believe in, people you trust completely are accused of the most horrendous of crimes? And who do you believe when you trust both the accuser and accused in equal measure. And if that wasn’t enough, another horrible crime is committed and Tami finds herself in the middle of a police inquiry, with all the fingers of suspicion pointing towards her. What is more unsettling is that she herself isn’t sure if she was indeed guilty of the crime. Life couldn’t get worse. An absolute page turner, one that had me hooked from word go. The story is related by the various characters in first person, and they also go back and forth between the past and the present. Koomson’s characters are complicated, with secrets and hidden depths, which could be dark at times. One might not like all her characters but they are anything but boring or predictable, just like her books. At times though, I did feel that Tami felt too good to be true. Although, to be fair, she does explain why she does what she does. You feel the pain Tami feels, her confusion, her horror, and her helplessness at times, and her strength. 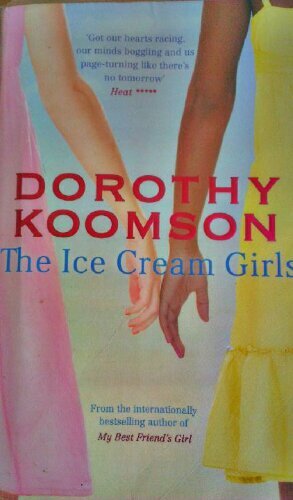 As is with Dorothy Koomson’s books, the covers look like a light read, but are more likely than not, heart-wrenching and dark. An interesting book, a page turner, and if you like books which while dark and troubling, has a great storyline that keeps you asking for more, this one is for you. I would rate it a 4/5. Dorothy Koomson is a contemporary English author. She has two degrees in Psychology and Journalism. She is a best selling author of several books. Starting a new book blog seems to have got all my creative ideas flowing. I seem to be bubbling over with ideas. I just hope they stay in my brain long enough for me to jot them down. One of the things that I want to do is have a section on the new authors(new for me), that I have come across and have loved. I might even do mini reviews of their books in the post. Or maybe link up the reviews I have already done. 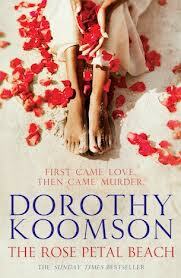 Dorothy Koomson is today’s author. I came across her books in Goodreads. Somehow they had never crossed my path before. Needless to say, I’ve loved her writings. So far, I’ve read two of her’s Marshmallows for Breakfast and The Cupid Effect. While I enjoyed Marshmallows For Breakfast far more, both stories had been different, and page turners in their own way. Gripping storylines, very interesting characters. I’m reading The Ice Cream girls by the same author, and am finding it just as gripping. I’ve just started the book though. So tell me, have you read her books? How have you found them? And which book would you recommend of hers?